"An entrepreneur's greatest asset" You have a vision of what you want to achieve, I work with you to make it a reality. I work at all times with my clients...Read more"An entrepreneur's greatest asset"
You have a vision of what you want to achieve, I work with you to make it a reality. I work at all times with my clients to ensure that they enjoy success. I don’t believe in making life complicated and at all times I keep things simple. I don’t see problems, only challenges where solutions need to be applied. I’m easy to work with and I hope, fun! I am highly skilled, motivated and experienced and look to give you the support you need thus enabling you to drive your business forward. I tailor my services to your requirements - from one-off projects to on-going regular business, marketing, social media and administrative support. I offer a comprehensive range of professional services and you can be assured that ALL services can be supplied at the best value for money for the highest quality of work! I recognised that the skills and experiences gained throughout my career would be of huge value to many enterprises on many different levels. I am happy to answer any questions you may have and am happy to provide with contact details of any clients that I have worked with/am working with. Summary: I have over 25 years experience of working at the highest levels and my skill set is second to none. I work on PPH as both a freelancer and client as I source resource frequently for my clients. 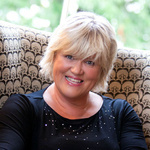 www.jaynepacker.com if you want to read what people say about working with me. Call a UK mobile (withheld) and update a client in a 5 minute telephone conversation. She really did save the day! Thanks a lot for your professionalism and great customer relationships! Jayne is a pleasure to work with, communicates very well and then gets the job done. I will certainly work with her again. Jayne is truly excellent. Quick, efficient, reliable.... Highly recommended. Jayne is the problem solver and capable second pair of hands that my business really needed. A top quality Virtual PA - many thanks for all of your help. I think Jayne is fantastic. Working with her has significantly improved my coaching business as my clients and prospects love her. She keeps me motivated, is fun to work with and delivers great results. I can't recommend her enough. Thankyou very much jayne for your work so far. your work quality and communication have been amszing to say the least. I am absolutely thrilled to have found Jayne via PPH - she is making a huge difference to the running of my business. It's great to have help from someone with initiative. UK Based - Highly Organised P.A / V.A. by Ivy Marketing Services L.